Chevalier Charles d'Éon de Beaumont. Home » Chevalier Charles d’Éon de Beaumont. 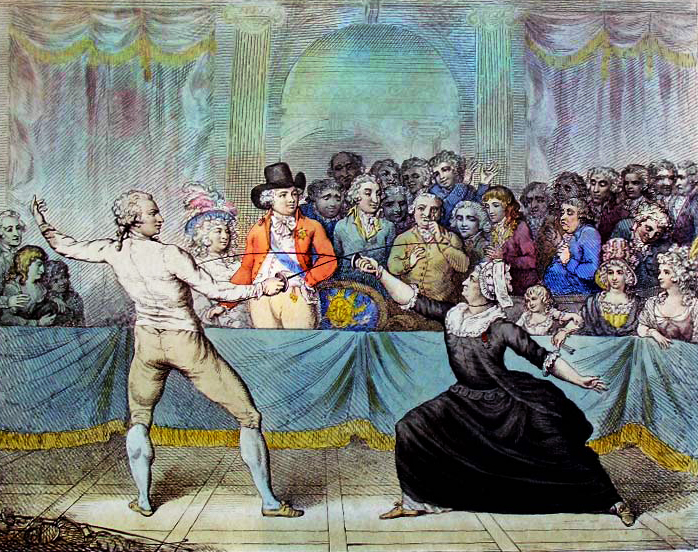 “The Assaut, or Fencing Match, which took place at Carlton House on the 9th of April 1787, between Mademoiselle La chevalière D’EON DE BEAUMONT and Monsieur DE SAINT GEORGE.”, a mockery of French knight chevalier d’Eon (Charles de Beaumont, chevalier d’Éon) who was said to be a woman in disguise. This may explain why some writings still present his sexual identity as a historical enigma. Indeed, a college of physicians may find at autopsy that it had normally constituted male attributes even if another examination, carried out undressed during his lifetime, had reached the opposite conclusion. He played an important role in the official and especially parallel diplomacy of Louis XV. He helped to turn Russia into the French camp at the beginning of the Seven Years’ War. Then, at his embassy in England, he drew up, among other things, a plan for the invasion of the country by sea. He is one of the most brilliant and contradictory characters of the eighteenth century: he lived dressed as a man for forty-nine years and as a woman for thirty-two years. Ffter a painting of Angelica Kaufmann. The Chevalier d’Éon. A portrait of this notorious adventurer in female attire. He loves celebration and gourmet food and writes essays on various and specific subjects (for example: Memoir on the usefulness of mulberry tree cultivation and silkworm education in France). He risks his life for France and tries to deceive them by disclosing secret documents etc. at the same time. According to some sources (much debated), Eon was recruited into the secret service by the king himself, who met him at a costume ball disguised as a woman. The monarch was seduced by this pretty person. After having understood that it is a man, he thinks that in this way, he could approach Tsarina Elizabeth I without attracting his mistrust. It was June 1756, the Seven Years’ War began. His mission: to convince the sovereign to form an alliance with France. 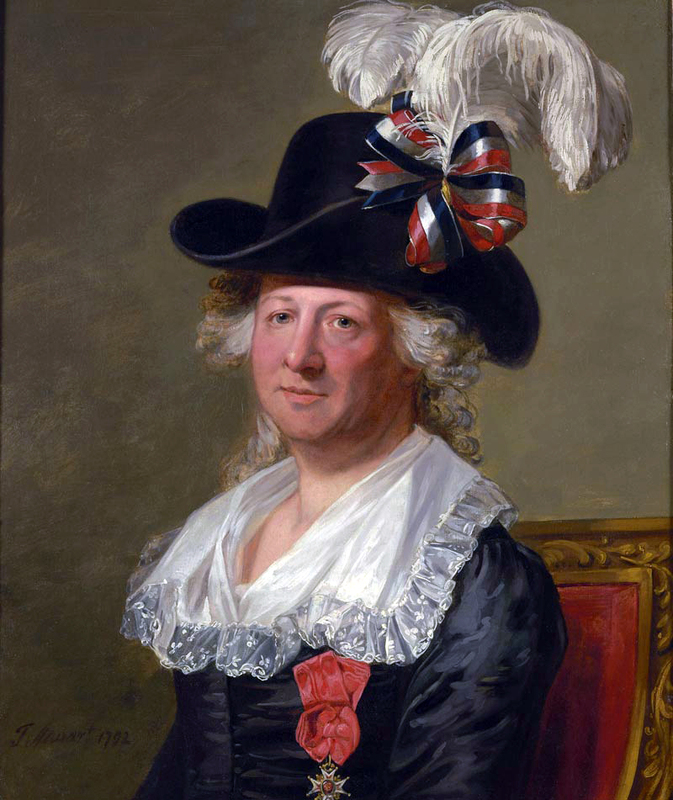 Under the name Lia de Beaumont, he managed to approach her, became her reader and managed to plead the French cause at the Russian court more effectively than the official ambassadors. In St. Petersburg, the tsarina gives costume balls where the roles are reversed: men must be dressed as women and vice versa. D’Eon probably takes pleasure in disguising himself, his androgynous appearance (narrow build, no beard) allows him to mystify everyone. D’Eon loves the celebration, he was spiritual and friendly, he quickly became the friend of many of the tsarina’s relatives. He was again in St. Petersburg as embassy secretary from 1758 to 1760. 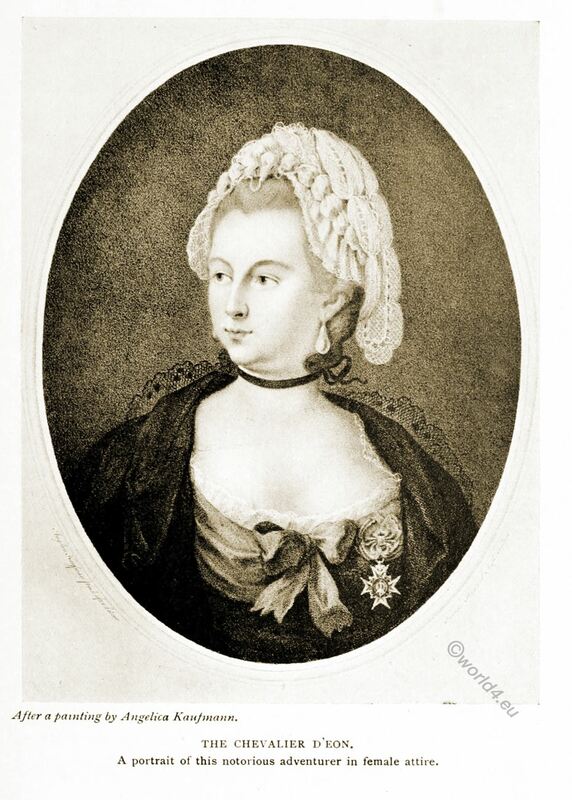 In 1762, Charles-Geneviève d’Éon was sent to London, where he collaborated, as “Secretary of the French Embassy for the Conclusion of General Peace” to the Ambassador, the Duke of Nivernais, in drafting the Paris Peace Treaty, signed on 10 February 1763, which ended the Seven Years’ War.